When it comes to Android smartphones, Samsung is the undisputed sales leader. On the digital camera front however, the company faces stiff competition from the likes of Canon, Nikon, and Sony (although it likes to point out that it’s moving up in certain camera categories). 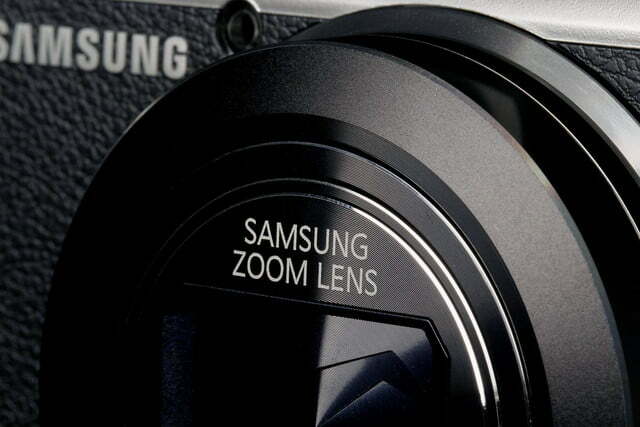 It makes perfect sense, then, at least from a business perspective, that Samsung would want to leverage its smartphone strengths in the service of its camera division (fact: Samsung’s camera and smartphone teams fall under the same umbrella). To that end, the company offers a couple of different options. 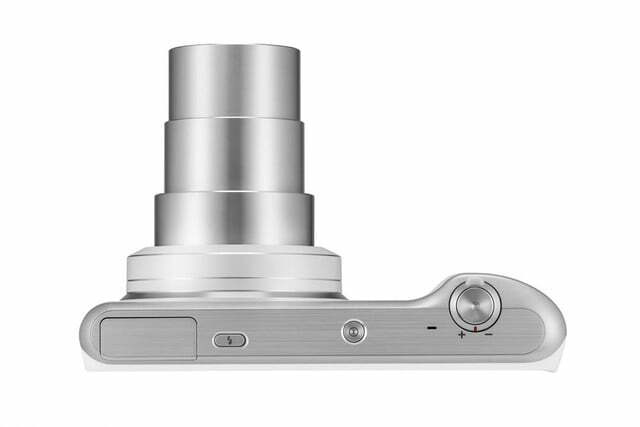 There’s the Galaxy S4 Zoom and its follow-up, the recently announced Galaxy K Zoom, which pack point-and-shoot features into a smartphone. The camera is also fairly large for a compact; it’s easy enough to toss in a bag, but it isn’t going to fit in your pocket. On the flipside, the Galaxy Camera and its successor, the Galaxy Camera 2 that we’re looking at here, put the guts of a smartphone (save for a cellular radio) into a somewhat larger point-and-shoot camera shell. 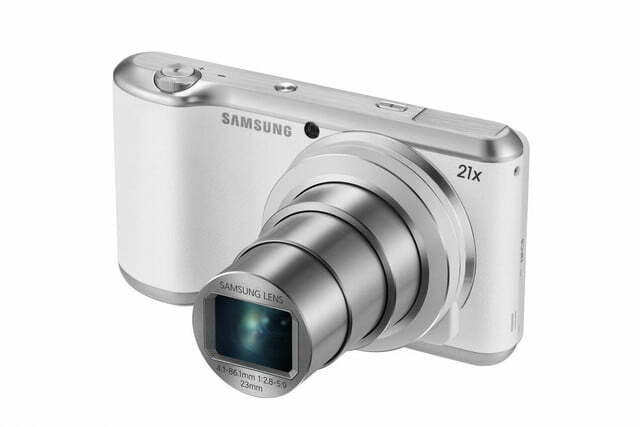 The Galaxy Camera 2 packs Wi-Fi for sharing photos when you’re in range of a hotspot, and can pair with a smartphone via near-field communication (NFC) for offloading and uploading via your smartphone. 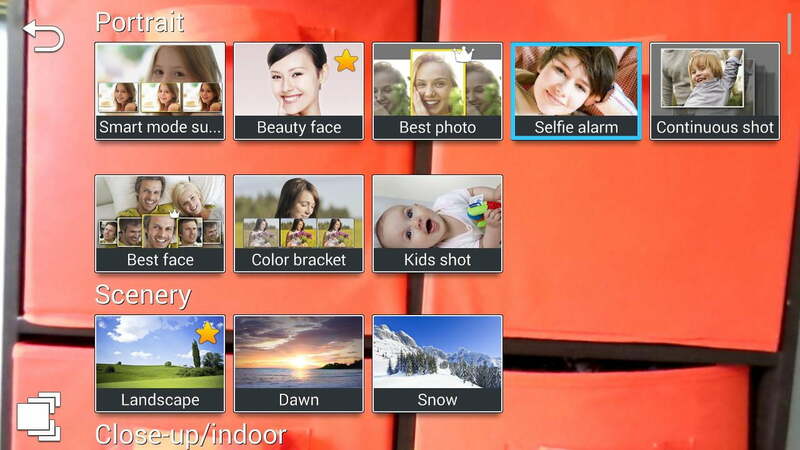 And the versatility of Android means you can install any number of camera apps that can add different features and filters. But running a full version of Android on a camera can be confusing and distracting when you just want to take a quick shot. 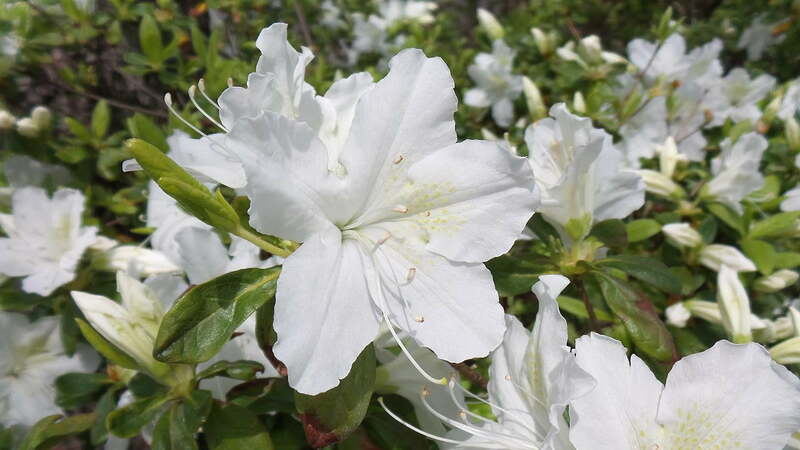 And as much as we welcome the camera’s 21x zoom, we weren’t especially blown away by the results of our test shots – especially considering the $450 MSRP. 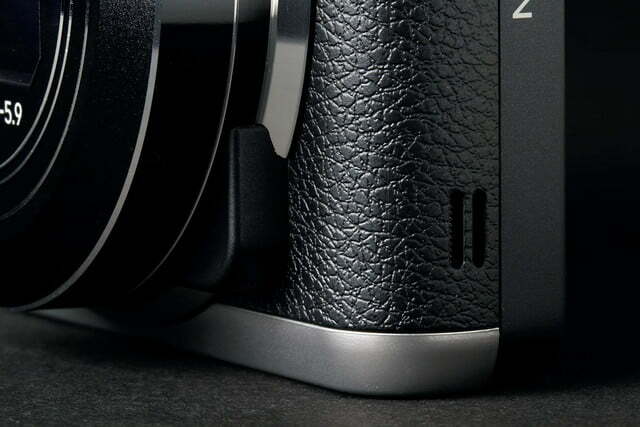 The Galaxy Camera 2 is attractive enough, with the 21x zoom lens dominating the retro-looking faux-leather front, and a bump-grip on the right side to help you hold the camera. 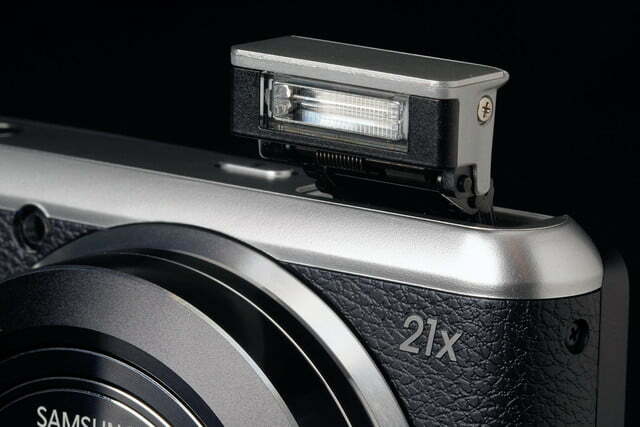 The brushed-metal top houses physical buttons for power, shutter, zoom, and the pop-up flash. The bottom houses a removable battery, a Micro HDMI port, and a MicroSD slot for supplementing the 8GB of internal storage, while the Micro USB charging port and headphone/mic jack sit on the right side. 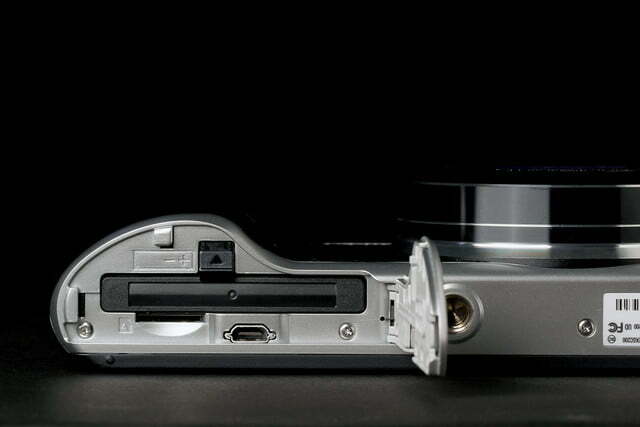 The left edge is occupied by the speaker and the NFC chip (more on that later). 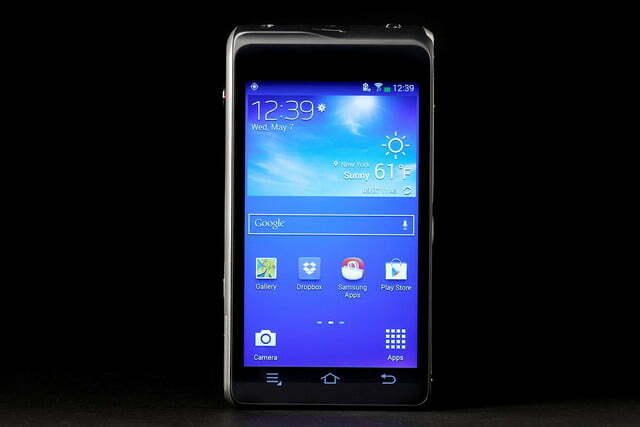 Around back, the Galaxy Camera 2 is all smartphone, with the 4.8-inch, 1,280 x 720-resolution touchscreen occupying the entire space, protected by Corning’s Gorilla Glass 2. It’s good that the screen is large, since it’s what you’ll be using to adjust camera settings and run any Android apps you care to install on the device. 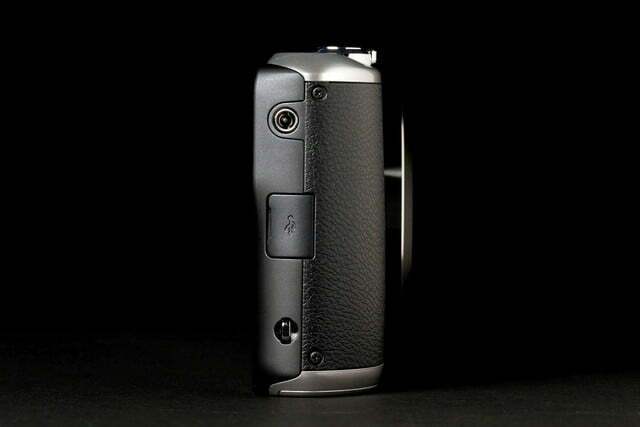 But the slick, flat back, located immediately behind the front grip, makes the camera feel a little strange and slippery in the hand (don’t forget to use the camera strap). And our right palm had a tendency to mash against the screen, accidentally opening menus or launching apps. 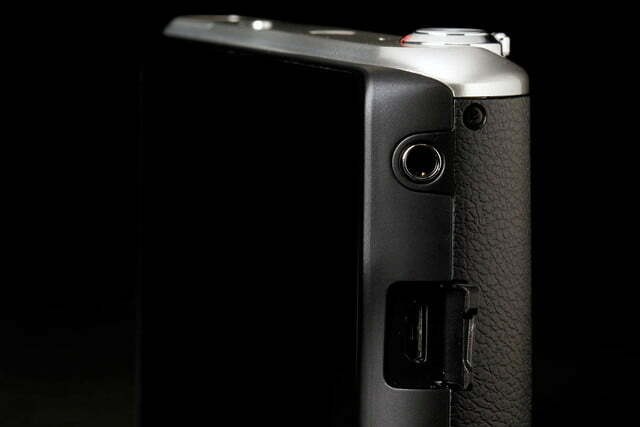 The camera is also fairly large for a compact, at 5.2 x 2.8 x 0.8 inches. It’s easy enough to toss in a bag, but it isn’t going to fit in your pocket unless it’s big and baggy. 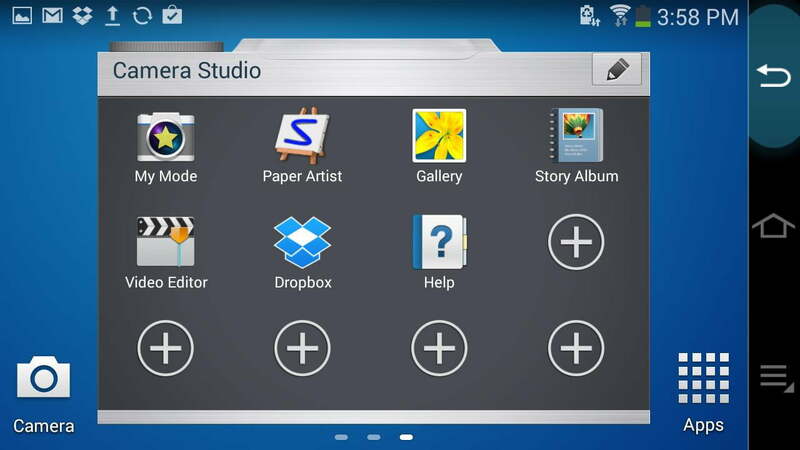 You shouldn’t have any problems running apps and even games on the Galaxy Camera 2. Its smartphone-like internals are reasonably powerful, with a 1.6GHz Samsung quad-core processor, 2GB of RAM, and 8GB of storage. You’ll definitely want to spring for a MicroSD card; unless you very regularly offloading your photos, there is only 2.8GB of actual storage available for your snapshots. And while there’s no cellular capability in this new model, dual-band 802.11n Wi-Fi is on board, as is NFC and Bluetooth, so there are plenty of wireless ways to get photos off the device and share them with others. 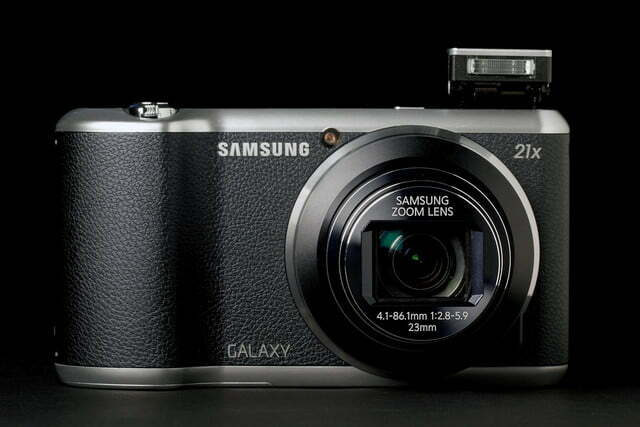 One of the Galaxy Camera 2’s chief selling points is the fact that it runs Android. Though it’s not quite the latest version (4.3, rather than 4.4), there’s full Google Play support, so you can install any app from the Play store, including lots of camera apps to add extra shooting features, or image editing apps to tweak your photos before sharing. And of course, you can install your social media app of choice, so you can post directly to Instagram, Twitter, or Facebook, right from the camera as long, as you have a Wi-Fi connection. While Android adds a world of versatility to the camera, it can also be cumbersome and disorienting on a camera – especially at first. When you’re in an app and something happens that you want to get a quick snap of, you have to remember to mash the shutter button, because there is no dedicated Home button. And when you’re immersed in composing that perfect shot or editing a photo, getting an IM or email can be annoyingly distracting. 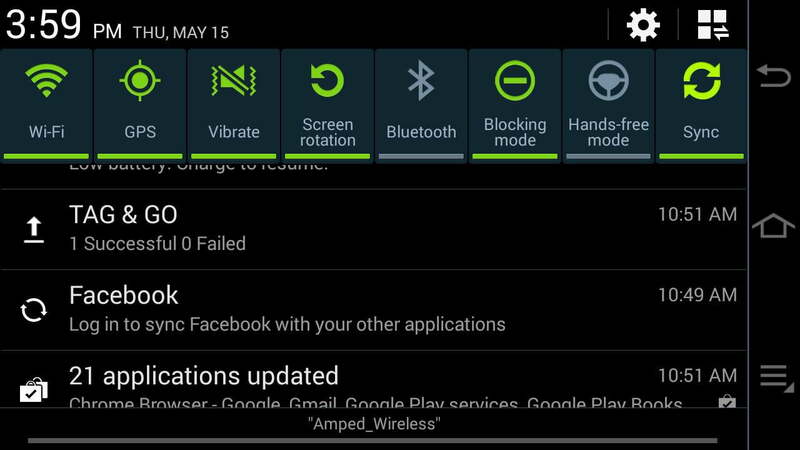 There is a blocking mode, though, which lets you turn off notifications and alarms. 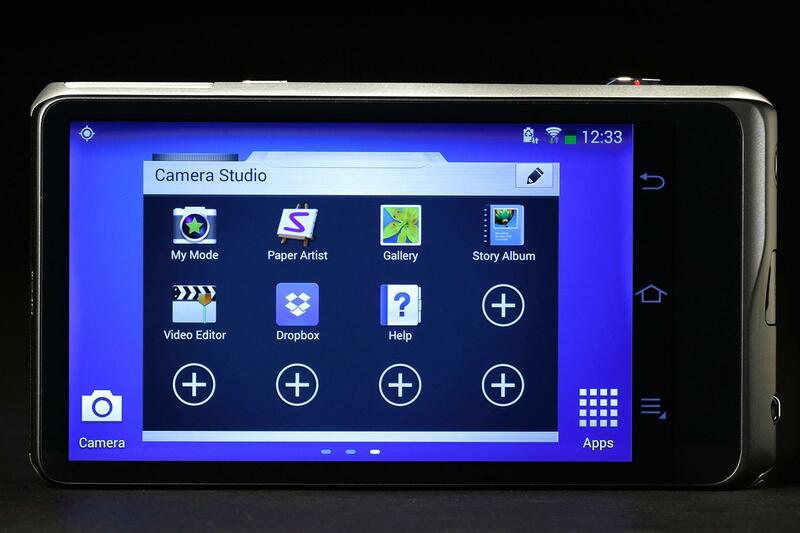 You can use the camera to play games, surf the Web, or compose an email. 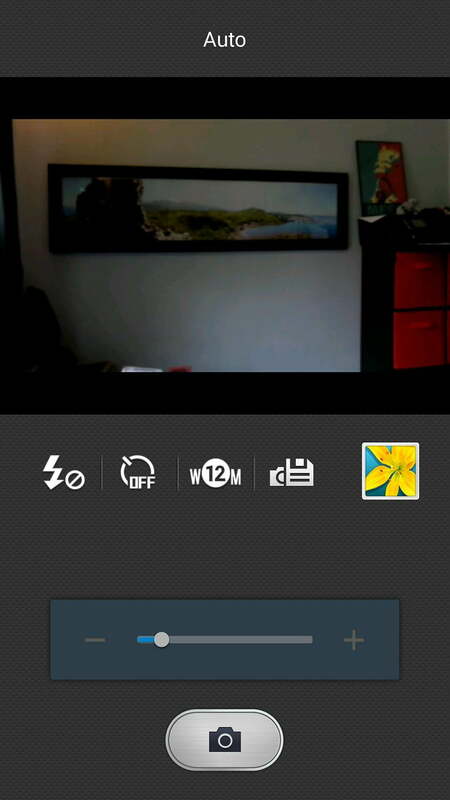 But after a while, the camera’s odd shape will make you miss the sleekness of a smartphone for these kinds of tasks. 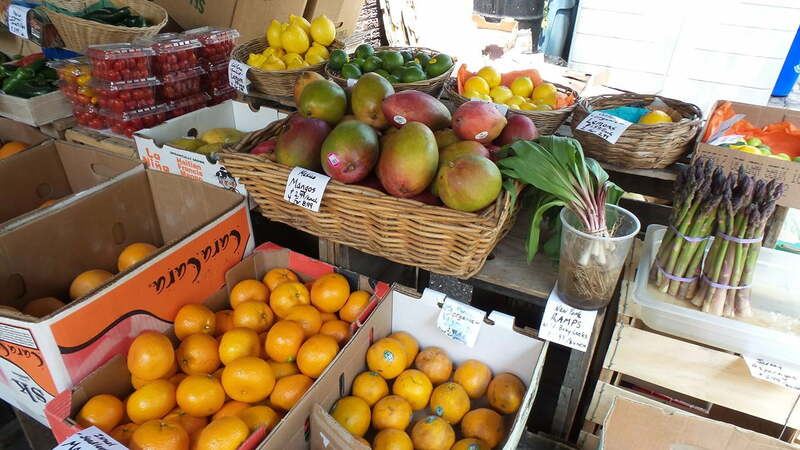 Basically, having Android on the camera means you can do a lot more than with a camera alone. But if you have a smartphone already, it’s almost as easy (and generally more comfortable) to just offload your images onto your phone and tweak and upload them from there. And while the OS will let you do more, its complexity will sometimes get in the way when you’re desperately trying to capture a fleeting moment. While you aren’t limited to using Samsung’s pre-installed camera software, the app does a decent job of delivering both simple settings, including a decent Auto mode, and loads of smart modes (we counted 28), organized in categories like Portrait, Scenery, Night, and the nebulous Professional Style, which lumps fancy effects like HDR, Panorama, Animated Photo, and Action Freeze together. There’s even a Selfie alarm option, and here’s how this gimmick works: you pick the area on the frame where you want your face to be before you physically move in front of the camera or spin the camera around. The camera then uses face detection to notify you when your head is in the right place, and shoots multiple images so you can choose the best selfie shot for your Facebook feed. This is a neat feat of engineering, but it still feels a lot more cumbersome than just using the front-facing camera on your smartphone. And with front-facing cameras getting a lot better (hello, HTC One M8), the feature feels trapped in a shrinking niche (like point-and-shoots in general). 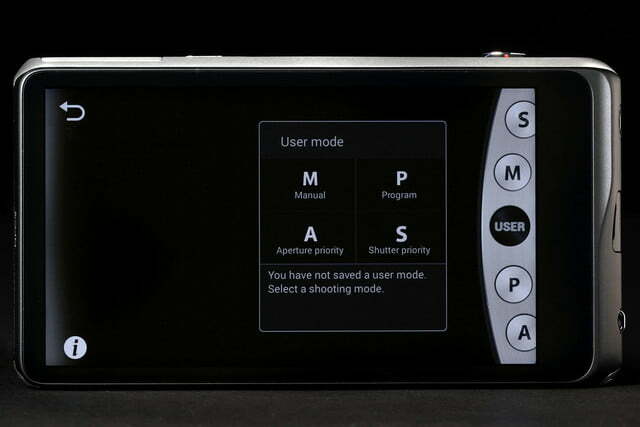 For those who want to manually adjust their shots, there are semi-auto aperture and shutter priority modes, and you can adjust f-stop and ISO settings manually as well. But if you’re that kind of photo enthusiast, you can get much better image quality (and better manual controls) at a similar price by opting instead for a low-price mirrorless camera like Sony’s new Alpha A5000, or an older NEX-3. 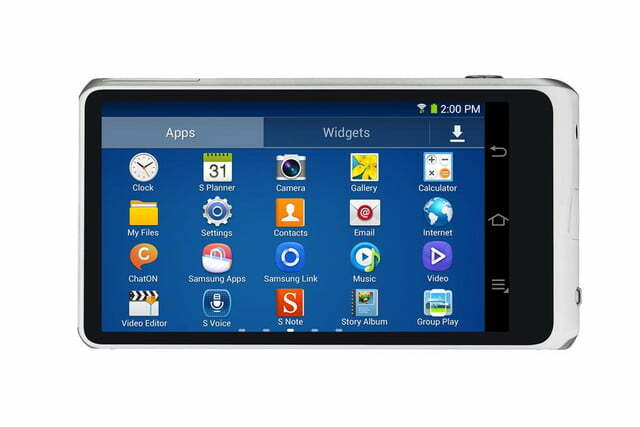 Sharing photos with friends and family is another important feature for a connected camera, and with dual-band Wi-Fi, Bluetooth, and NFC, the Galaxy Camera 2 certainly has the hardware to make this happen. 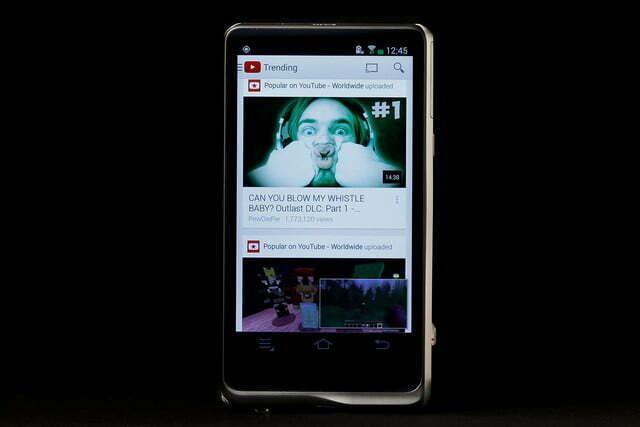 But in actual practice, things are a lot more complicated than Samsung makes it look in their slick promo video. 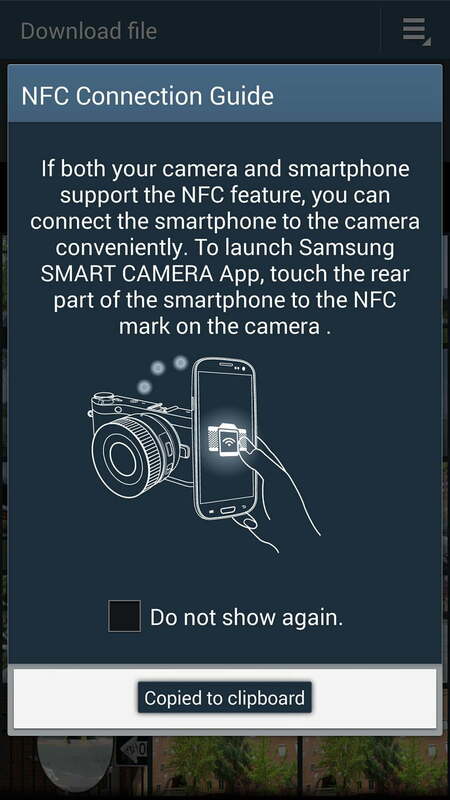 If the phone or tablet you’re trying to share files with has NFC, you can tap it to the side of the camera to initiate pairing. But (surprise!) 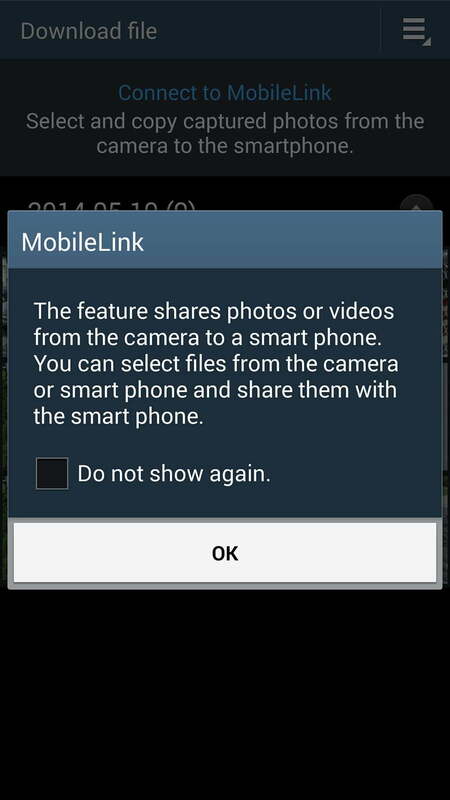 to share files this way, your friends will first have to install Samsung’s Smart Camera app. While Android lets you do more, its complexity will sometimes get in the way when you’re desperately trying to capture a fleeting moment. And in our experience, pairing and sharing was a mixed bag at best. 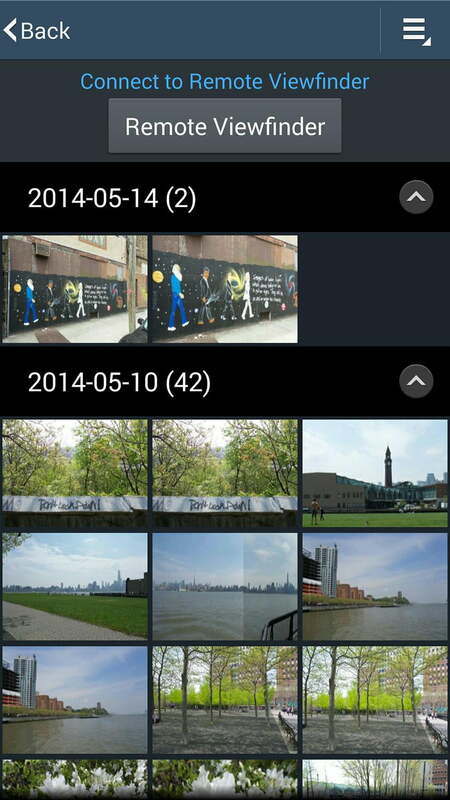 Sometimes it just worked, letting us nearly effortlessly dump photos from the camera screen to our Galaxy S4. But at least half the time, after the initial pairing, our phone couldn’t find the camera a second time, and we had to reboot the phone and the camera to get sharing working again. The Smart Camera app also lets you use your phone as a remote viewfinder, so you can set up nice group shots and even tweak some of the camera’s basic settings from afar. But unfortunately, at least on our phone, the app wasn’t very stable, crashing on us at least three times during testing. Because of the instability of the app and the funky pairing issues, we found ourselves just using Dropbox to share files from the camera when were within range of W-Fi, and only attempting to pair with our phone when we wanted to share a shot taken with the camera while on the go. 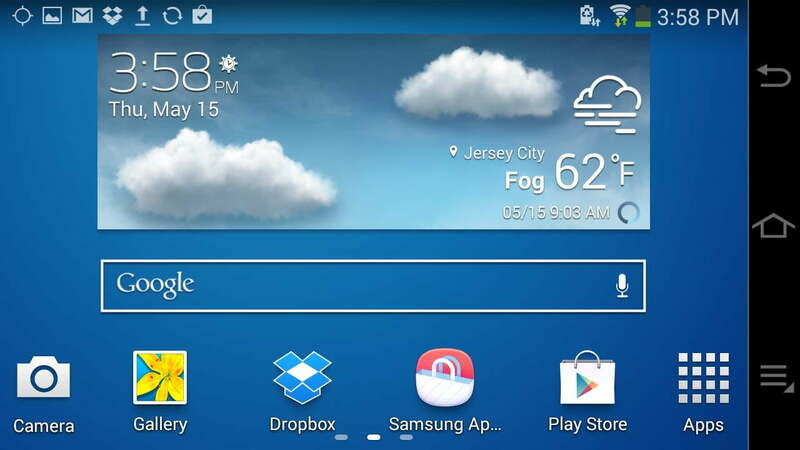 This is unfortunate, because we’ve had better luck using wireless connectivity with Samsung’s regular cameras. Samsung upped the battery to 2,000 mAh on the Galaxy Camera 2 versus 1,650 mAh on the original, and the company says you should be able to take 400 shots with the new model before needing to recharge. In our testing, which included installing apps, taking photos, tweaking settings, uploading images to Dropbox and Facebook, and even a bit of Web surfing, we were more than midway through our second day of use before the camera complained that it needed a recharge. If you take a ton of photos, you probably want to keep your charger handy (or buy a second battery). But otherwise, for a day trip, you can probably leave the charger at home. Samsung tweaked the aesthetics and upgraded the CPU and RAM with the Galaxy Camera 2, and (thankfully) added a pop-up Xenon flash. But the camera’s 16-megapixel sensor and 21x optical zoom lens are also found in the original Galaxy Camera that debuted in 2012 – and that’s a problem, because smartphone cameras have greatly evolved since their beginning. 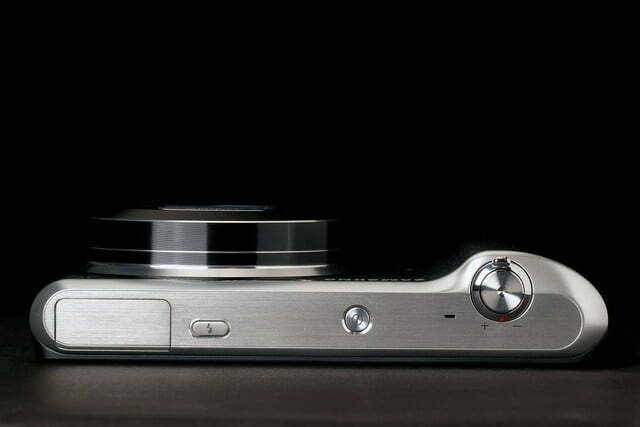 On the imaging front, the Galaxy Camera 2 is treading water at best, as high-end smartphones are quickly catching up. Sony’s Z1S and Z2, as well as various Nokia Lumias have the Galaxy Camera 2 beat on the megapixel front. And the Z1s does a pretty good job turning low-light photos into useable shots, something smartphone sensors have always struggled with. 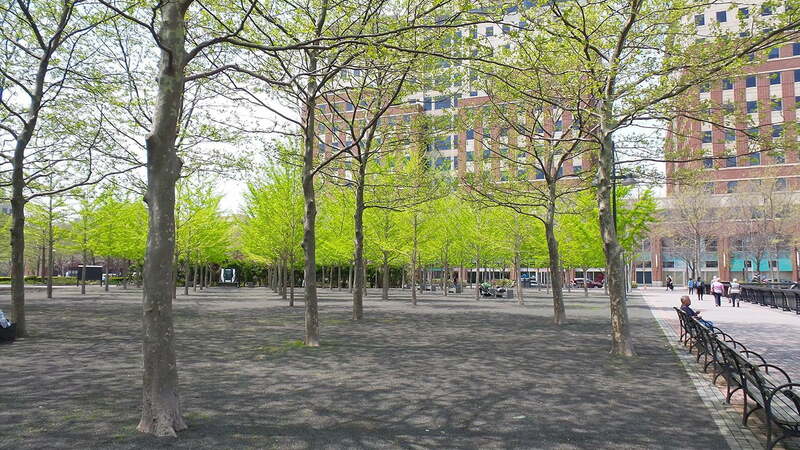 Images taken with the Galaxy Camera 2 may be slightly better than what you’ll get from a good modern smartphone. But in general, they aren’t that impressive. Sure, they look nice enough on the camera’s 720p screen or on Facebook. But viewed at full resolution on a 4K screen, there’s a fair amount of missing detail. In photos taken with automatic settings and using various scene modes (which is how most will likely be shooting), things like green grass look like blobs of color, rather than blades of grass. And under all but the brightest of interior lighting, indoor shots have visible noise. 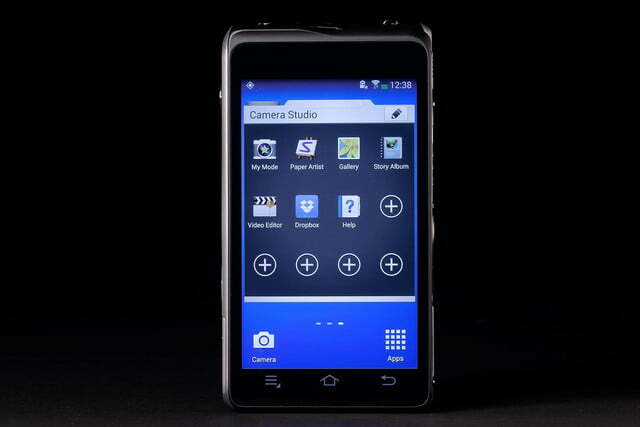 The Galaxy Camera 2 is treading water at best, and high-end smartphones are quickly catching up. Again, all of this is going to be far less visible if you’re looking at the photos at 1080p or below. But the same can be said for shots taken with your smartphone. And looking at images at reduced resolutions will make the Galaxy Camera 2’s shots look even less distinguishable from shots taken with a good smartphone. 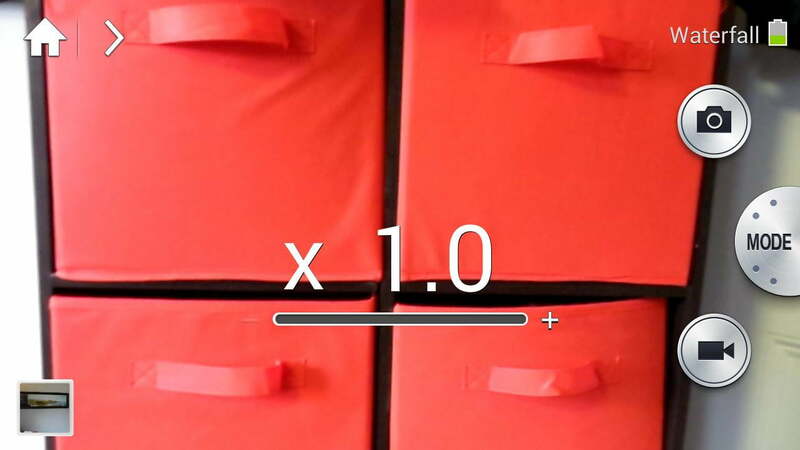 Even at full resolution, when we compared an interior shot taken with the Galaxy Camera 2 and a similar photo taken under the same lighting with our year-old Galaxy S4, the Galaxy Camera 2 image had a little less noise, and the S4 shot had a more yellow tinge, but both had noticeable defects, including noise and blocky color transitions. Outdoors, as is often the case, the Galaxy Camera 2 fares a bit better, and its 21x zoom lens certainly can’t be matched by a smartphone. But images still look like they could have been taken by a good smartphone, and daylight can easily wash out detail. 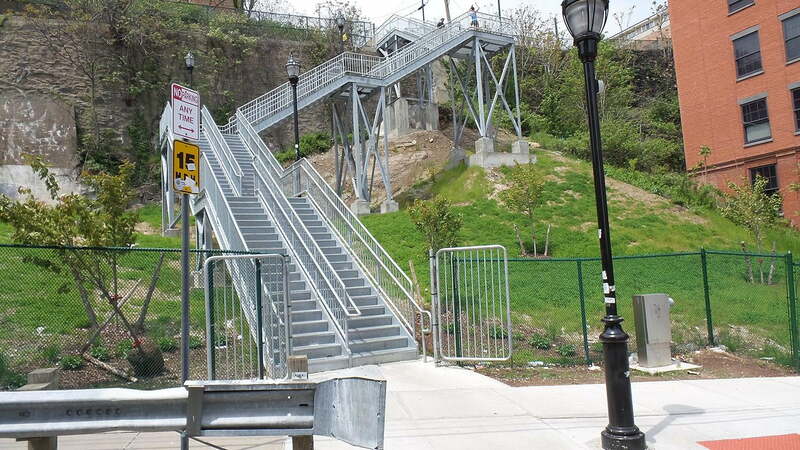 Worse, when we used the camera’s Panorama mode to capture wide images, the camera almost always did a poor job of blending the brightness and exposure across the image, resulting in noticeable banding and darkening, usually on the right side of the image. Here’s an example I’ve uploaded to Flickr. As someone who has a 50-inch panorama of rural Scotland that was taken with the Galaxy S4 smartphone hanging on my wall, I can personally attest that this isn’t an issue with the company’s recent high-end smartphones. 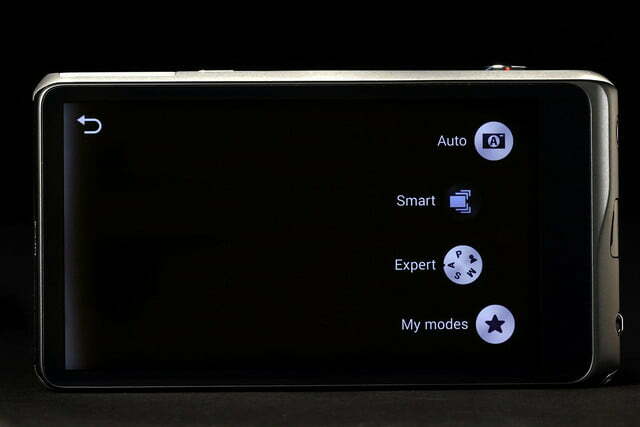 The Galaxy Camera 2 can shoot video up to 1080p at 30 frames per second, and higher frame rates at lower resolutions. 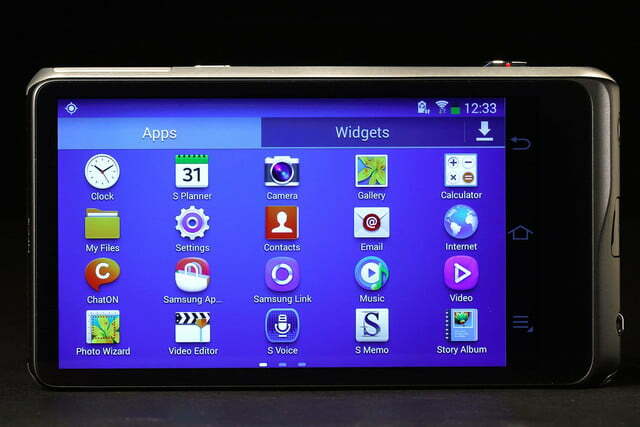 But again, this isn’t any better than what you can expect from current smartphones. And with some phones offering 4K shooting and HDR video, the Galaxy Camera 2 feels a bit behind the smartphone pack on the video front. 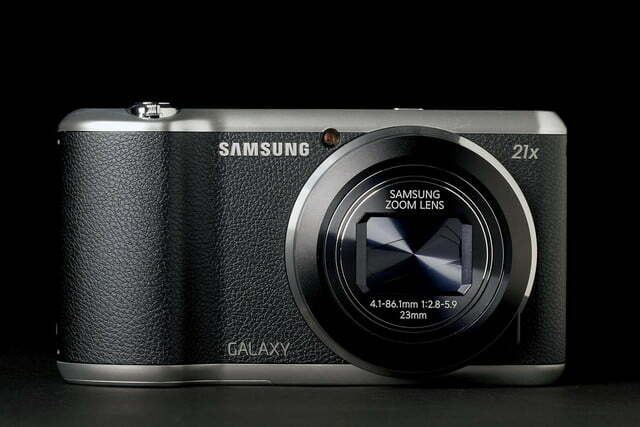 For those looking for a versatile camera that will let you edit images and share them without ever having to move images to a separate device, Samsung’s Galaxy Camera 2 is a decent option without a whole lot of direct competition. 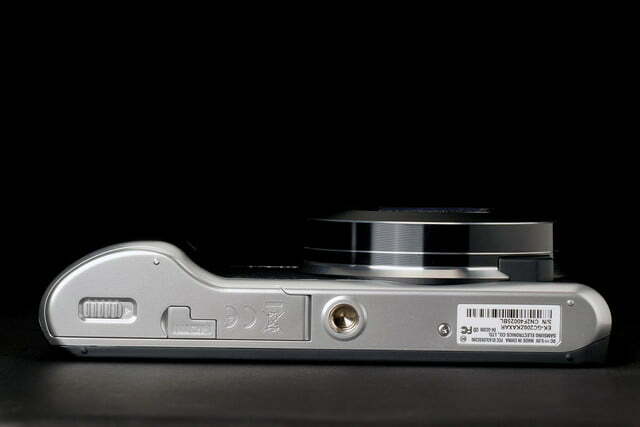 Nikon’s Coolpix S800c and the recently announced CoolPix S810c are its main rivals. 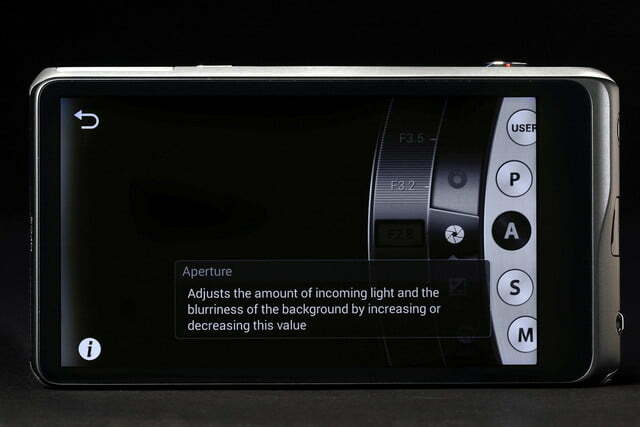 But those cameras also have a 16-megapixel sensor, and pack a lesser 12x optical zoom. 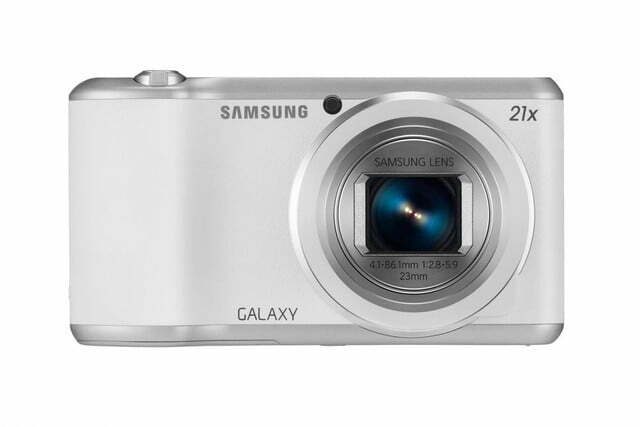 The Galaxy Camera 2 is best suited to those who like Android and need a zoom lens, or those who don’t have a smartphone but still want to share their images without having to use a computer, tablet, or smartphone. 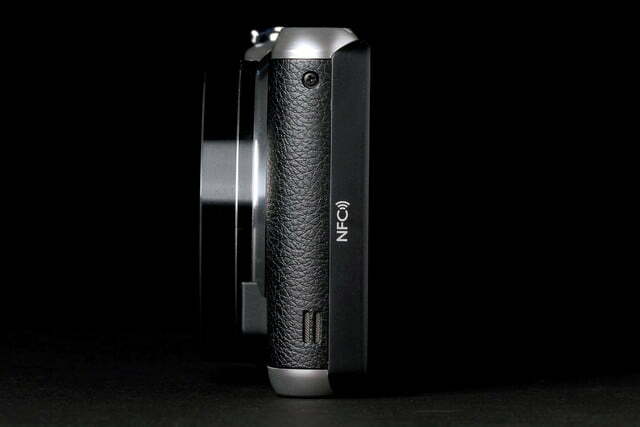 But those who want the best image quality should definitely look elsewhere. 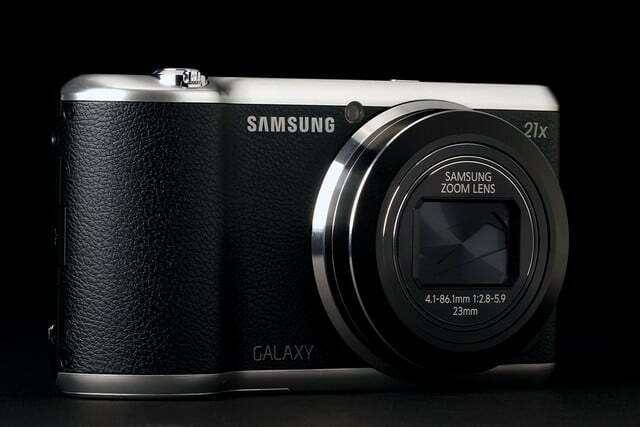 Thanks to its full-blown Android OS, the Galaxy Camera 2 can do many things a regular camera can’t. 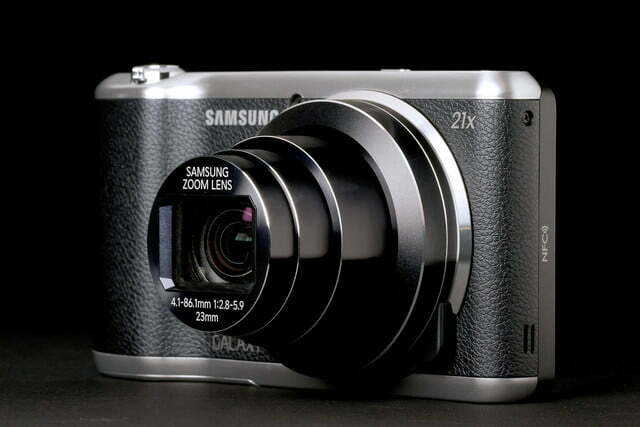 And its 21x zoom lens means you can get shots that would be impossible with a smartphone. 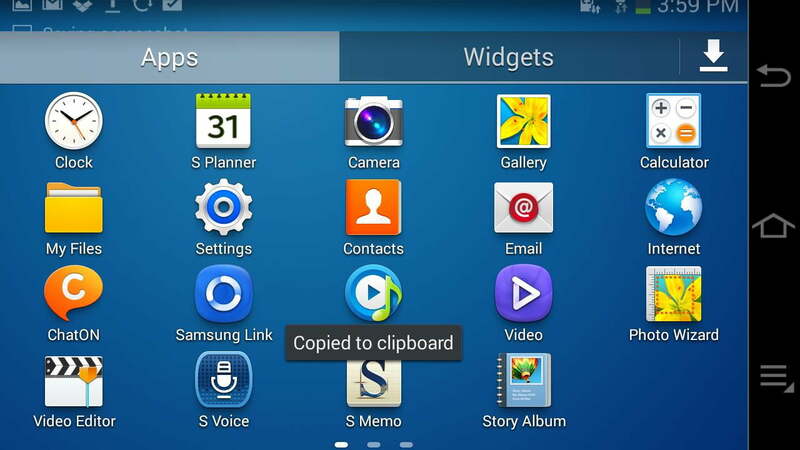 But the complications that come from running a smartphone OS on a camera will make the Galaxy Camera 2 confusing for novices. And serious camera users will want better image results, which you can get easily with a similarly priced mirrorless camera or high-end point-and-shoot. And if wireless and sharing abilities are what you’re looking for, those can be added to a better camera for as little as $40 with an inexpensive Eye-Fi card. Sure, Eye-Fi cards can be a bit clunky when transferring images from your camera to your phone, but we experienced very similar issues while testing the Galaxy Camera 2. 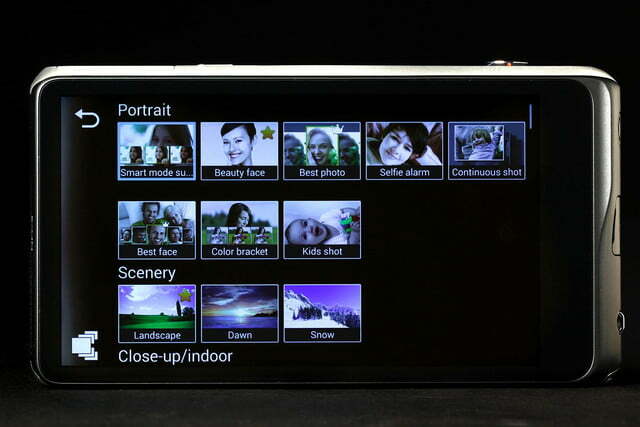 Besides, many new cameras now include Wi-Fi, so you don’t need a camera like this for sharing purposes.